"Please show us who you really are. We will find you through your talents and potentials"
In the US, one of the prerequisites for getting into a top university is a good high school education. University admission officers have natural trust and confidence towards their high school education system and quality, and believe that their high school graduates are capable of mastering the studies in universities. Caring for others; honesty / integrity ; self-esteem; mature and complete personal character (relative to their age) ; responsibility ; respecting teachers and peers ; emotional stability (inner peace); comprehensive evaluation as a whole person and as a student, and so on. These stories as “hidden values” will be collected by us and conveyed in their writing and personal statements, so that their unique personalities and deep emotions can be revealed in a multi-dimensional way. The idea of studying abroad has been around for only a short period of time but developed very fast. The burgeoning number of Chinese applicants and the underlying truth has been a hot issue for the American media. 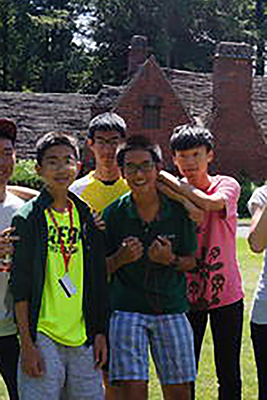 It was reported by Deerfield Academy and Hotchkiss School that the number of Chinese applicants has increased ten times. For example, in 2005-2006 school year, each of them only received less than 20 applications, but up to 2011-2012, it was over 200. If these Chinese students were all accepted, one third of the school population would be from China. “This has been an incredible growth explosion”, said Patricia, Dan of Admission and financial Aid at Deerfield Academy”. It then becomes much more difficult to understand Chinese students and their strengths, as there is cheating from time to time, and the language barrier. The cultural barriers added even more complexity to it. “I cannot understand these Chinese applicants the same way as I understand the Americans”, said Patricia. This is a tough situation they are facing: as the applicant number grows rapidly, cases of cheating grow too. In this case, how do they obtain reliable information? Admissions officers at Deerfield High School said that they would pay more effort on direct personal communication with Chinese applicants, such as interviews and informal e-mail communications. “Every aspect of performance must be consistent with who the applicant truly is”, said JJ Briones, Associate Dean of Admissions at Deerfield Academy. This is also what we are working on with the students, to dig out each student’s unique personality and charms with a genuine heart. IvyLabs is famous for its high quality students and strict requirement on academic literacy. The organization originated in the Yale campus, so the team members are mostly graduates from Ivy League universities, who are alumni or previous deans of admissions in these private schools. Some are still working as admission interviewers currently. We have maintained a very good relationship with these schools and universities and receive a good reputation in the circle. 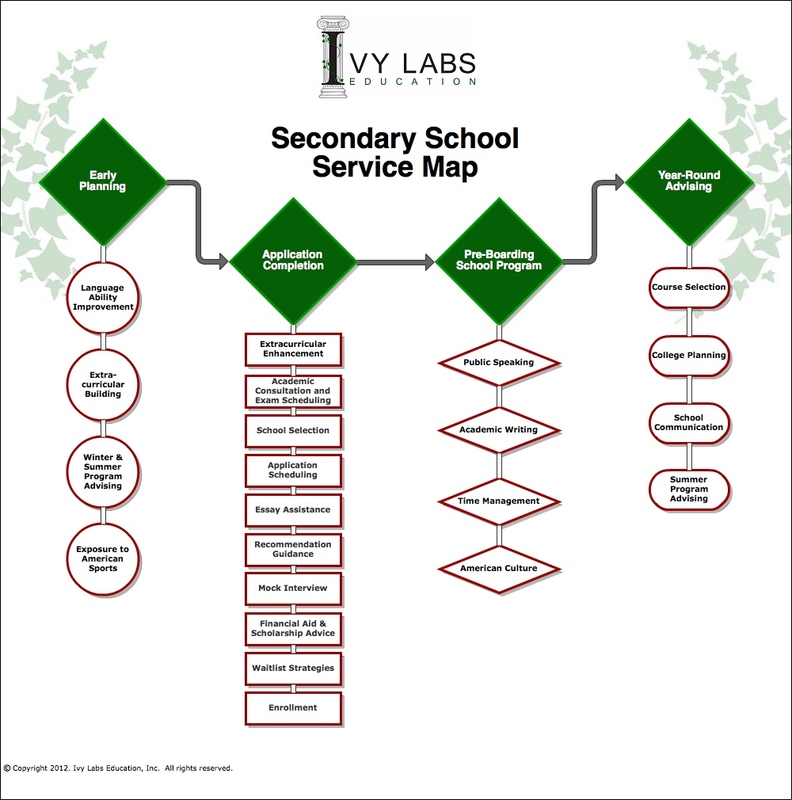 Ivy Labs has developed the following unique educational methods and learning strategies and plans for our students: 【Early Stage Planning】， 【’Ten-steps’ Method for Successful Application】， 【“Ivy Bridge” for Young Chinese students】and 【Continuing Guardianship and Academic Advising】 Under this framework, students’ potentials can be maximized, and they would experience successful transition to the high school learning phase. Meanwhile, our teamwork model can greatly improve the effectiveness of the implementation of our education programs.